Hanging air freshener with See Tracks? 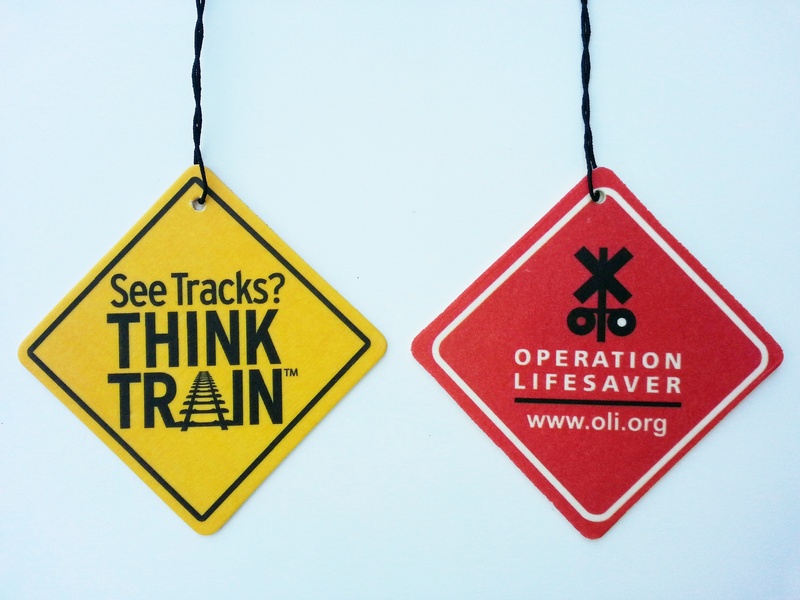 Think Train logo on one side, and Operation Lifesaver logo on the other side. Perfect for your car or home! Fresh laundry scent. 3" Diameter.